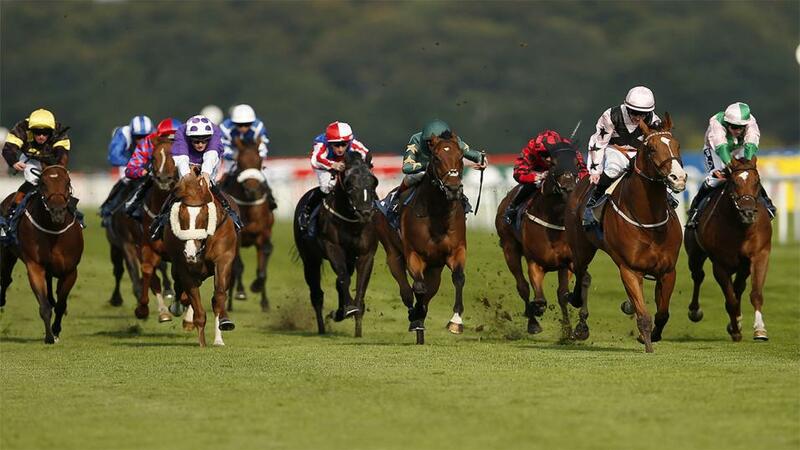 "The strong pace that is sure to happen over this trip today should suit him"
You're often looking for a double figure priced winner to start your final day of the St Leger festival. 13 of the last 15 renewals of the opener, the Portland Handicap, have gone to a winner of this price but none of them over 20/1. That narrows the field a bit and then you need to look for horses aged four or five. That doesn't take out many, but takes the field down to approximately seven that meet both criteria. Of the seven that remain the one that interests me most is the Amanda Perrett runner Open Wilde. The four-year-old gelding out of Invincible Spirit has been in good heart this year, and after travelling so well last week throughout his race at Ascot he just found the one rival too good. The strong pace, that is sure to happen over this trip today, should suit him better and Andrea Atzeni (who almost got home for us yesterday) is now booked to ride. In a highly competitive race, you can use the each way edge facility on the Sportsbook to get upto seven places and still get 9/1 about the selection and that looks good enough to me. The St Leger is now a fascinating match between the boys Kew Gardens and, for the girls, the now confirmed John Gosden filly Lah Ti Dar. The Antepost market was a hub of activity when the Gosden team decided on Wednesday evening to reroute her from a Group 1 race in France to Yorkshire. She has now taken over as favourite in the market ahead of the Aidan O'Brien quality performer Kew Gardens and it sets up a fascinating final classic of the season. The Gosden filly didn't make her racing debut until April and was forced to miss the Oaks at Epsom in June, but showed her undoubted class when she stretched 10 lengths clear of her field in the Galtres Stakes last month and remains unbeaten after three starts. She is a potential star in the making and warrants a huge amount of respect, but I am still not sure she will have enough to beat Kew Gardens. Aidan O'Brien's Galileo colt is already top class and a winner of a Group 1 in France prior to finishing third in the Great Voltigeur. Although he was behind Old Persian that day, he left himself plenty to do but was flying at the death, so an extra two furlongs here is a major plus. I think he kill two birds with one stone today by turning that form around with Old Persian and at the same time get the better of Lah Ti Dar.